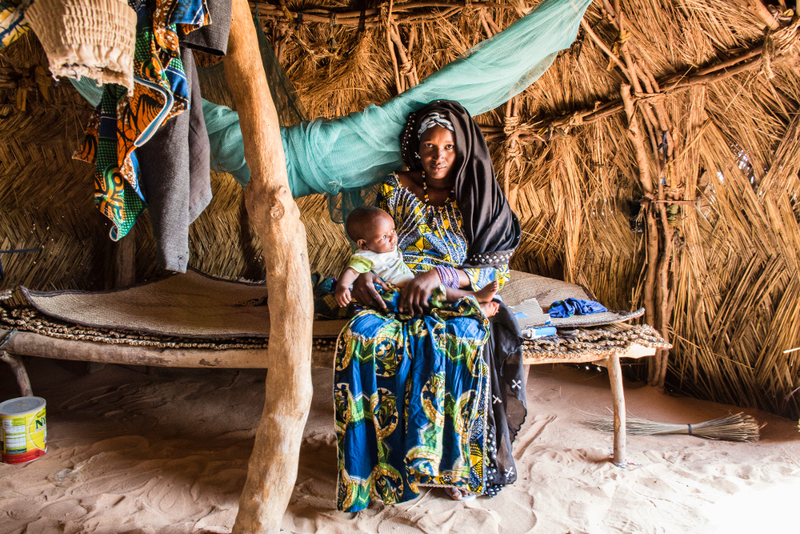 In 2011, the Government of Niger set up a national social safety net programme – the ‘Projet Filets Sociaux’. It includes unconditional cash transfers as well as behavioural change measures to promote investments in children. Lessons from programme implementation and evaluations so far highlight the opportunities for this model to reach a large number of poor families and induce changes in parenting practices. Challenges to achieve impacts on child development and ensure quality during scale-up are also underlined. Few countries face bigger early childhood development challenges than Niger, which has one of the lowest levels of human development in the world (United Nations Development Programme (UNDP), 2016). Children aged under 5 make up a quarter of the population, with women having on average 7.6 children (Institut National de la Statistique (INS), 2015). The poverty rate is 45.4% (INS and World Bank, 2016). Only about half of children aged 7–12 are enrolled in primary school (INS, 2013), and access to preschools is very limited. 44% of children are stunted, half of them severely (INS, 2013). Rapid population growth is increasing pressure on already low-performing social services, and meeting the challenges of improving early childhood development requires urgent policy action and fast scale-up of quality interventions. The Projet Filets Sociaux provides unconditional cash transfers of 10,000 CFA Francs (around EUR 15) per month for a total of 24 months to poor households across the country, selected through a process of geographical targeting and subsequent identification of the poorest households within selected villages. Alongside accompanying measures to support more productive livelihoods and resilience, the cash transfer programme includes a behavioural change component (volet comportemental) which promotes parenting practices conducive to early childhood development. The behavioural change component originally focused on a set of material on essential family practices developed in Niger: exclusive breastfeeding for the first six months; complementary feeding after six months; sleeping under treated mosquito nets; treating diarrhoea with oral rehydration solution; handwashing and hygiene; use of preventive healthcare services; health visits for children at the first sign of illness; and family planning. 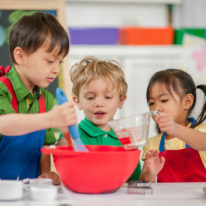 An early pilot then suggested that additional material on nutrition and psycho-social stimulation would help to align with the objectives of the safety nets project and to take a more holistic approach to child development. 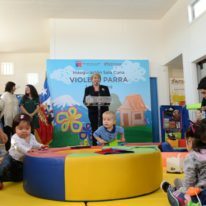 As a result, new modules were developed on language stimulation; play; school readiness, enrolment and attendance; brain development; discipline, punishment and conflict management; and attachment and socio-emotional development. A comprehensive manual was produced to detail the content of each of these modules. It also contains implementation protocols to ensure consistency of delivery across a large number of actors as part of the safety nets project, as well as to support monitoring and quality control during scale-up. The intervention manual itself was developed through a series of field pre-tests and iteratively improved based on experience during implementation. 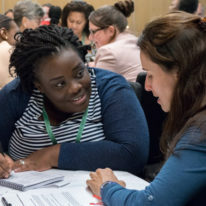 It adopts a positive deviance approach – that is, seeking to identify and work with existing examples of good practice in a community and spread them by triggering community dynamics. Defining the parenting training model required careful consideration of the feasibility of its implementation at scale. The cash transfer programme had a relatively rapid expansion path, so the implementation modalities needed to ensure sufficient quality without being too costly or operationally complex. The safety nets project is managed by Cellule Filets Sociaux (CFS) in the Office of the Prime Minister, and the implementation of the behavioural accompanying measures is contracted out to local NGOs – in total, 16 have worked to deliver the model so far. The behavioural change intervention is designed to last 18 months in each participating village, starting a few months after the cash transfers. Each beneficiary household is invited to participate in three activities per month. First, a village assembly is organised by NGO field staff, targeting around 50 beneficiaries. It is also open to non-beneficiaries in those villages. Second, a discussion session (causerie) is coordinated by a community educator for small groups averaging 25 beneficiaries. The community educator then visits each beneficiary from the group in their home. The total implementation costs for these measures are estimated at USD 86 per beneficiary household, and the indirect oversight costs at USD 14. In five years of implementation, over 3300 community educators have been trained, the programme has been implemented in over 1500 villages and has reached over 87,000 cash transfer beneficiary households. Participation is not required for beneficiaries to receive their monthly cash transfers, but it has still been consistently higher than 90%. Reflecting a strong social dynamic around the programme, many non-beneficiaries have also participated. An estimated 130,000 households that do not benefit from the cash transfers have been indirectly exposed to the behavioural change component in participating villages, bringing the total population reached to over 200,000 households, or approximately 1.5 million people. A range of studies and evaluations have been embedded in the programme to learn from the set-up and scale-up of the behavioural change accompanying measures. Qualitative evaluations assessed the quality of implementation and how the messages were received by local populations. They confirmed the high level of participation documented by the project monitoring system, as well as strong social dynamics and community engagement. The content of the parenting training – especially newer themes related to psycho-social stimulation – were found to be well aligned with the interests and aspirations of poor households on whom the programme focused. The messages promoted by the programme were in general well received and understood. The overall level of implementation was satisfactory, although some gaps in the fidelity of implementation were found. For example, NGO staff were not mentoring community educators sufficiently or consistently enough. Some community educators had very low capacity and were not performing very well. Interestingly, however, although NGO staff had better education levels, they were found at times not to have internalised implementation protocols as well as community educators. Community educators may have had higher intrinsic motivation as they were implementing the programme in the villages where they lived. Finally, although quality control processes were defined, corrective measures were not taken systematically enough when issues were found. 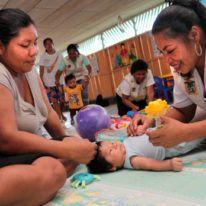 A large-scale prospective randomised controlled trial was set up to identify the value-added of the programme’s behavioural change component on parenting practices and early childhood development. The impact evaluation first assessed to what extent the parenting training indeed led to behavioural changes, and then tested whether it resulted in improvements in final outcomes. Results showed impacts in 9 out of 14 thematic areas (Premand et al., 2016). Exclusive breastfeeding and complementary feeding improved, which contributed to enhancing children’s food security. A lower reliance on harsh discipline was found. Changes in some preventive health behaviours were also observed, although these were more mixed. In contrast, there was no impact on the proportion of children whose births were registered and very limited impact on education outcomes. Finally, the study documented strong spillover effects in a range of practices across participating villages. This is important, as it shows that changes in parenting practices also took place in households that were not benefiting from the cash transfer programmes. Despite these observed changes in behaviours, the parenting training had limited impacts on children’s final outcomes in the short term. It led to small improvements in children’s socio-emotional development. Although nutrition and health practices improved, however, anthropometric outcomes did not. Similarly, despite improvements in psycho-social stimulation and child protection practices, no impacts on children’s cognitive development were observed. Impacts were measured around the time households exited from the programme, when they had been exposed to the behavioural measures for approximately 18 months. It remains possible that some changes in behaviours may take more time to manifest in final outcomes among children. In the end, these results probably also reflect the highly stressed environment in which children live in rural Niger, with interplay among multiple risk factors including widespread adult illiteracy, low-quality social services, poor sanitation and a challenging environment. Improvements in these other areas will also be needed in parallel to promoting behavioural changes. "The Projet Filets Sociaux provides unconditional cash transfers and includes a behavioural change component which promotes parenting practices conducive to early childhood development." Lessons from implementation and the results of the various evaluations reveal two main challenges that the programme is now aiming to address to ensure sustainability at scale. The first is a systemic challenge: how to ensure quality of implementation of parenting training delivered through a national safety nets system. In the current delivery model, through NGOs, a critical issue relates to effective supervision of the fidelity of implementation, and the establishment of clear feedback loops to enforce performance-based contracts. The CFS is considering institutionalising the implementation of the accompanying measures through its staff at the level of communes, a layer of local government in Niger. This approach may help address some quality issues that have arisen when implementation is contracted out. At the same time, new quality assurance protocols will be needed, possibly including outside audits or regular process evaluations. The second challenge relates to effective inter-sectoral coordination. The behaviour change measures focused on providing information to parents, in a household-based approach that did not seek to be a substitute for the institutions responsible for delivering services in the health, nutrition, education, and water and sanitation sectors. Strengthening the inter-sectoral linkages with technical ministries and making them fully effective at the national, regional and local level is a first-order priority for which efforts are underway. "A range of studies and evaluations have been embedded in the programme to learn from the set-up and scale-up of the behavioural change accompanying measures."